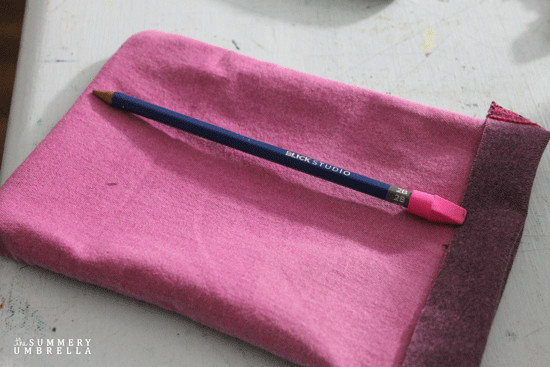 I’m beyond excited about this cute little DIY drawstring pencil bag that I’m going to share with you today! I know, I know. 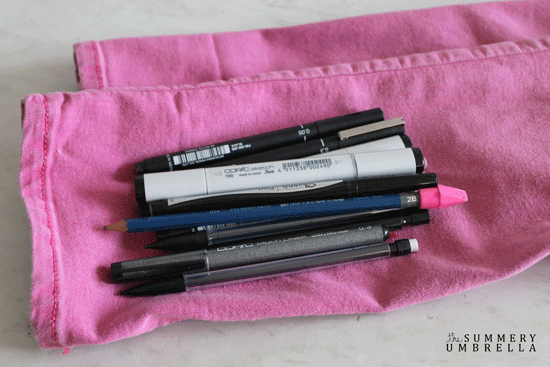 I’m an uber-dork, but I just can’t get enough of this super simple and incredibly functional, handy dandy bag. So, here’s a little backstory. 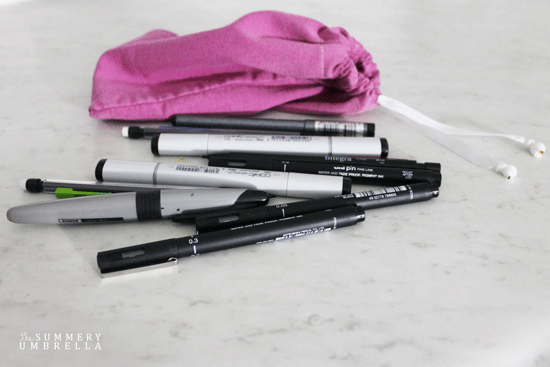 I recently got back from a wonderful and oh-so-relaxing family vacation this past week, but when I was preparing and packing I realized that I didn’t have any useful bags to store all of my pens, pencils, markers as well as all of Ava’s crayons. I’m not sure about you, but these particular supplies can make or break me during a long car ride or even when I’m waiting for a table in a restaurant. 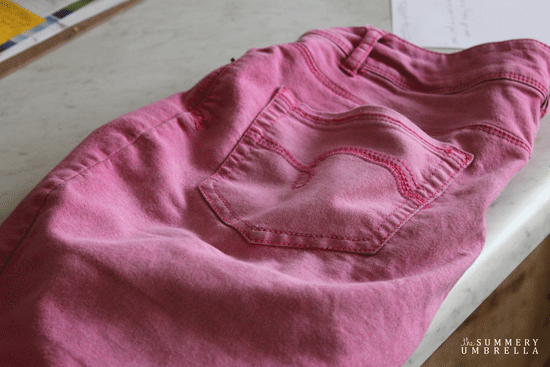 Since I like to DIY everythingggggg I started looking around my house for ideas for creating this little fella, and was super pumped to see these pink jeans in my “fabric cabinet” that I no longer wear. I love the color, but they just weren’t my thing anymore. First things first, I figured out how big I would need to make this bag. I found that the easiest way to do this is to place a bunch of my typical supplies on top of one of my pants’ legs to get a good idea of what I’m working with. Then, I simply cut off the portion I would need with a pair of scissors. 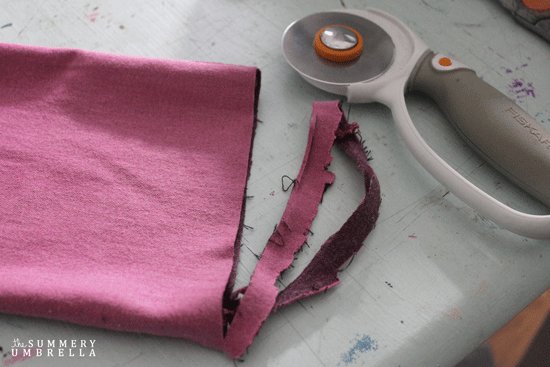 Fabric scissors work great, but whatever you have on hand should do the job too! I love the darker version of this pink color when it is turned inside out, but ultimately decided the brighter side is more of my style! So, using a sewing machine I sewed up the pants leg end that had not been already been cut up. I didn’t do anything fancy I just closed it up to the best of my abilities! Note: I am by no means a seamstress, fabric connoisseur or any other expert within the sewing industry. 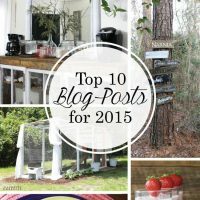 I am merely a lover of all things DIY, and enjoy trying new things even if I have no idea how to accomplish them. 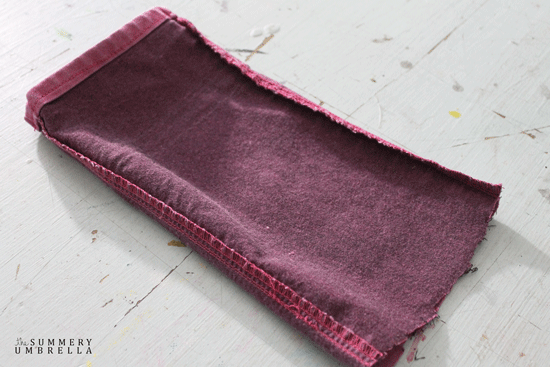 Then, using a rotary fabric cutter I trimmed up the ends to look nice and pretty. 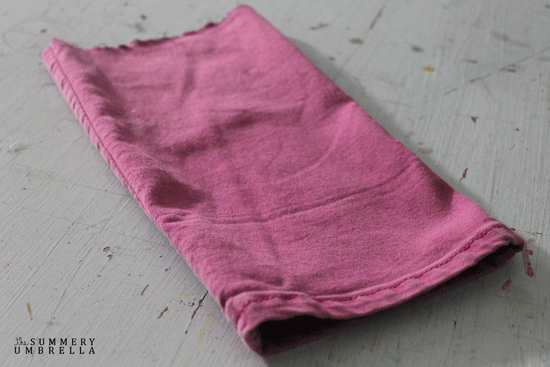 I decided that I would like to turn my cuff for the drawstring inwards to keep everything nice and neat. Plus, I noticed that it hid a lot of my mistakes. Woo hoo for hiding the oopsies! 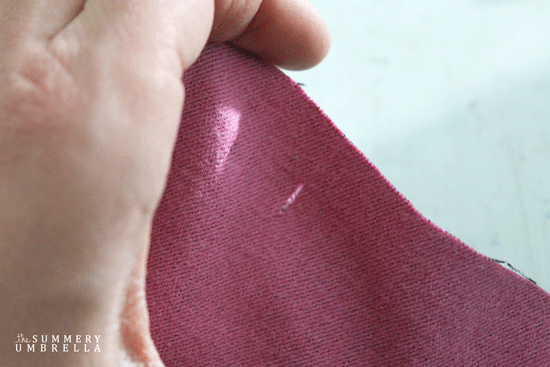 This isn’t the best picture to illustrate where I put my two holes for my drawstring, but you’ll first need to cut two very small holes for your string, ribbon or whatever else you’d like to use for you bag’s restricting capabilities. 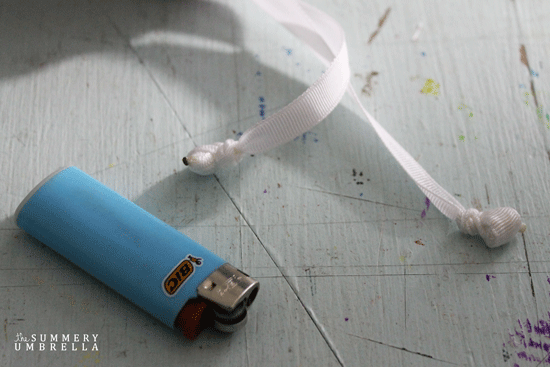 I found some white ribbon laying around, and it worked just perfectly. 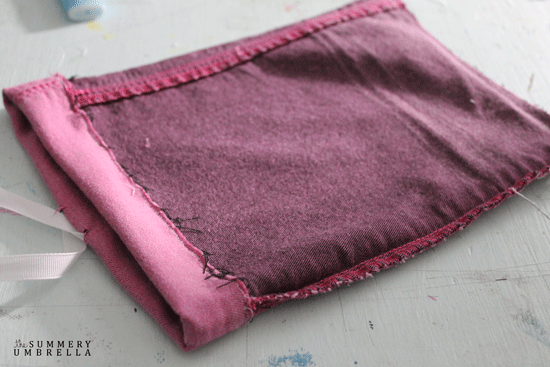 Then, I pushed my ribbon halfway through the two very small and vertical holes that I made. 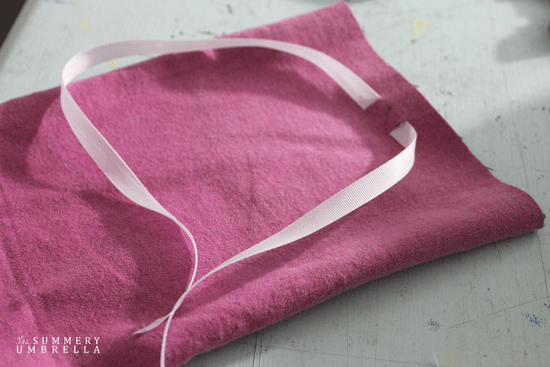 For this next step you might need a second set of hands to help you hold the “pouch” open while you grab your ribbon and pull it almost through. 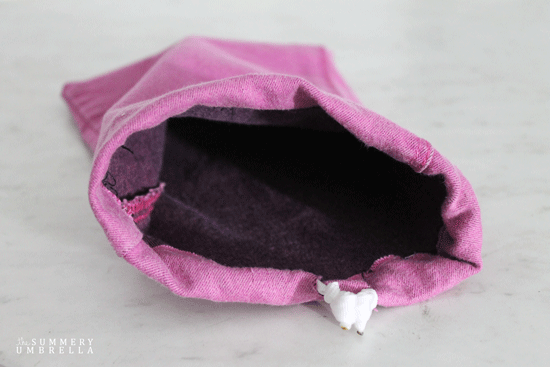 Remember, you are only pulling through enough ribbon to encompass the interior of the pouch as shown in the picture below. 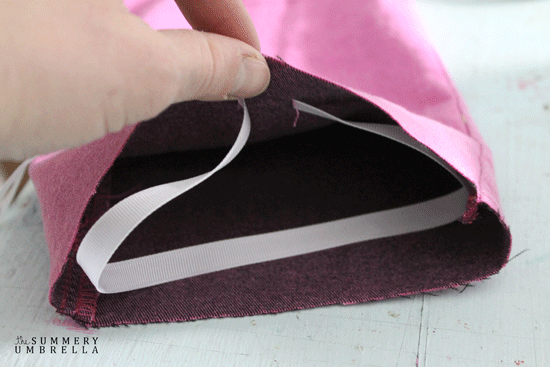 Then, flip this little fella inside out, and fold over the edges to cover your ribbon. 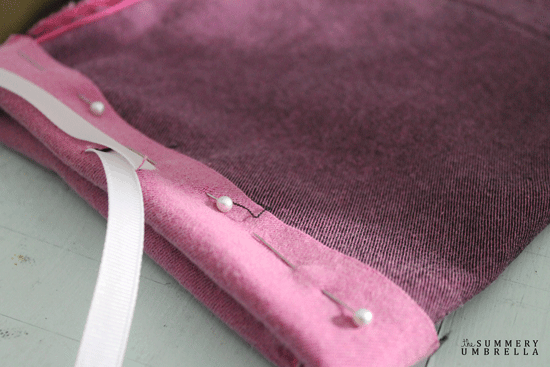 Using a few pushpins, pin your folded over fabric into the drawstring (so it doesn’t move), and through to the other side. 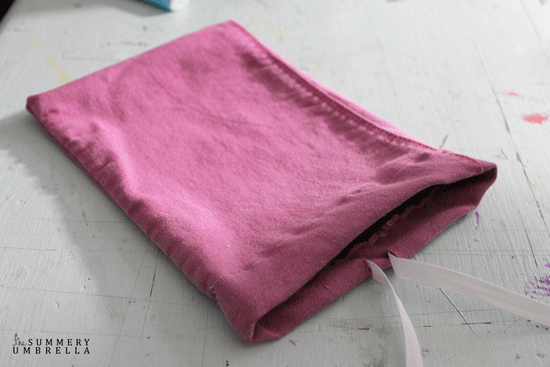 Very carefully using your sewing machine (or by hand if you would like) sew the folded over fabric all the way around your pouch. This step is a little complicated, and I took out stitches more than once because I was too close to the edge and/or on my ribbon. Just make you don’t completely sew your entire bag closed at this point! You’re almost done! Turn your bag inside out, and drool over your success! Your very last step will be to knot the ends of your drawstring of choice. My ribbon is knotted approximately four or five times, but you may need more or less depending on your drawstring selection. Last, but not least, I then singed the ends to keep them together. 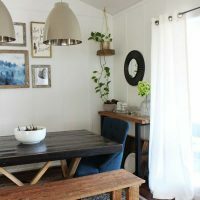 Depending on your skill level with your sewing machine this project can be created in less than an hour, or you may want to add several details to spice it up a level! 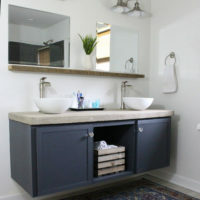 Either way, this diy project is well worth the effort! Not only can I fit all of my supplies, but also a few of Ava’s and plenty of other random tidbits. 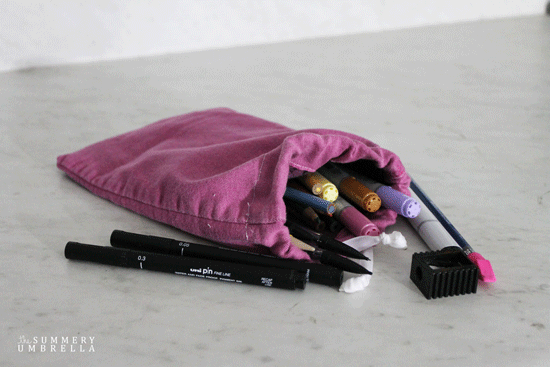 AND this bag can easily fit into your purse. LOVE IT! !